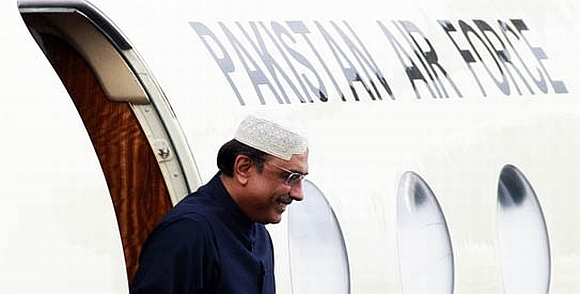 Pakitsan President Asif Ali Zardari on Thursday departed on a one-day private visit to Dubai amidst a standoff between the civilian government and the powerful military on the memo scandal. 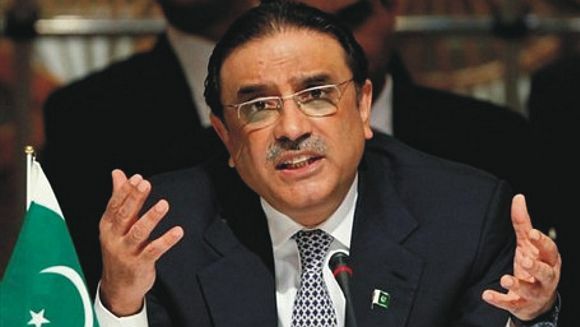 News of Zardari's departure was flashed on Thursday afternoon by television news channels. There was no immediate word on the visit from the presidency. Sources told PTI that Zardari was expected to attend a wedding in Dubai, where he has a private residence. Several senior government officials are also expected to attend the same wedding. This is Zardari's second visit to Dubai since the memo issue triggered a confrontation between the government and the military. He travelled to Dubai on December 6 and remained there for nearly a fortnight for treatment of a heart condition. That trip had triggered rampant speculation that Zardari was under pressure from the military to step down. 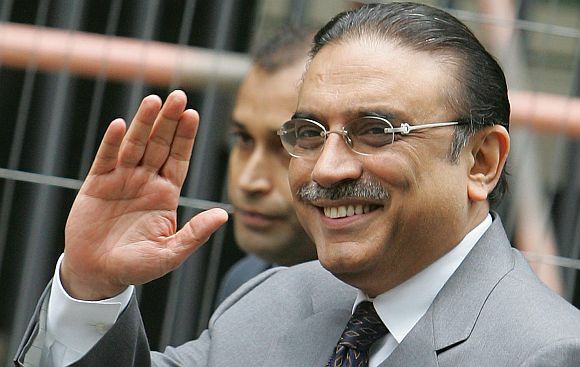 Since then, Zardari has made it clear that he has no intention of quitting as president. The current political crisis began when Pakistani-American businessman Mansoor Ijaz made public an alleged memo that sought US help to prevent a military coup after the killing of Osama bin Laden in Pakistan in May last year. The government has dismissed the memo as a "piece of paper" and said the president and prime minister played no role in drafting or delivering it to former United States military chief Admiral Mike Mullen. The army and Inter-Services Intelligence chiefs urged the Supreme Court to order an investigation into the scandal. The apex court formed a three-judge commission to investigate the memo issue and submit its findings in four weeks. Army, ISI attack Gilani: A coup in the making? Who will strike first in Pak: Army chief or prime minister? The BIG 4 behind Pak crisis: Gilani, Kayani, SC and China!